THE NATIONAL Vice Chairperson of the Convention People's Party (CPP), Sarfohene Araba Bentsil-Enchill has said that the party is capable of turning the economy round when it is voted into power. Speaking to The Chronicle at her residence in Cape-Coast last week, Bentsil-Enchill explained that the party possesses talented men who could manage the national economy and ensure a better standard of living for Ghanaians. 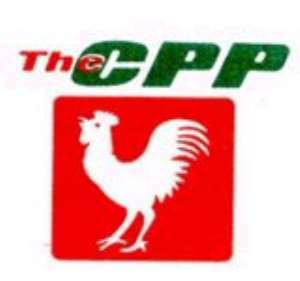 Bentsil-Enchill, who is also the central regional chairperson of the party, pointed out that the CPP had the blueprint and that it was poised to do even better than before, and called on Ghanaians to vote massively for the party in the forthcoming elections. "CPP can turn the national economy round because we have the blueprint. I do not dwell on the past but if you do not have a past, you do not have a future. If you do not know what your grandfathers did, whether they were good people or intelligent, that also tells on you in the future," the eloquent lady asserted. Comparing the performance of the CPP with that of People's National Party (PNP) and the National Democratic Congress (NDC), she deduced that her party was second to none. She said most Ghanaians had been turned into paupers by the current administration, making it very difficult for them to enjoy three square meals a day, as the basic requirement of preserving the wellbeing of individuals. Still dwelling on the economy, the regional chairperson debunked the claim by government officials that the economy was on track, saying it must reflect in the life of Ghanaians. According to her, the party would mobilize the people and create wealth out of the resources available to the country. She added that the social democratic ideology being churned out by the party would be put into practice for people to realize it, if the CPP comes to power. She continued that the CPP was an expert in nurturing talents, stressing that most of the people working for the ruling NPP government and the NDC as well are CPP inclined. "No political party in Ghana can work without with the CPP," she said. Turning to the primaries in the region, she told the paper that, the party would field candidates for all the 19 constituencies. Candidates in about 13 constituencies she said have already been fielded and the remaining six were yet to be done. Bentsil-Enchill maintained that the party was strategizing in a way that it would surprise most Ghanaians in the December elections, saying reports from various parts of the country indicated a positive result. As to whether she had the intention of contesting the Cape-Coast seat, the great granddaughter of Anglican Chaplin, Philip Quaicoe, said even though some elders of the town had approached her to join the race but she had not decided yet taking into consideration the workload on her as a regional and vice chairperson of the party. Her aim, she said, was to help other females in the party get to Parliament.